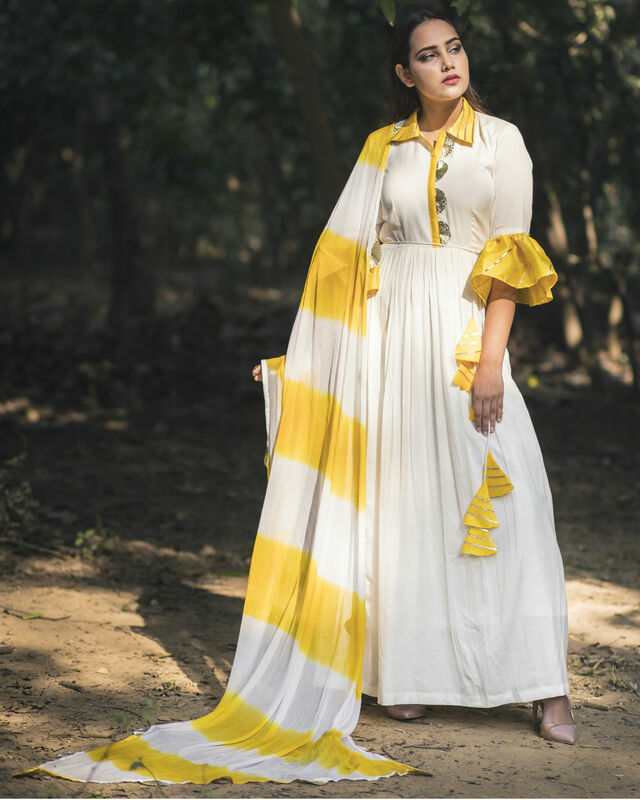 A head turner this anarkali and dupatta set is a must have this season.  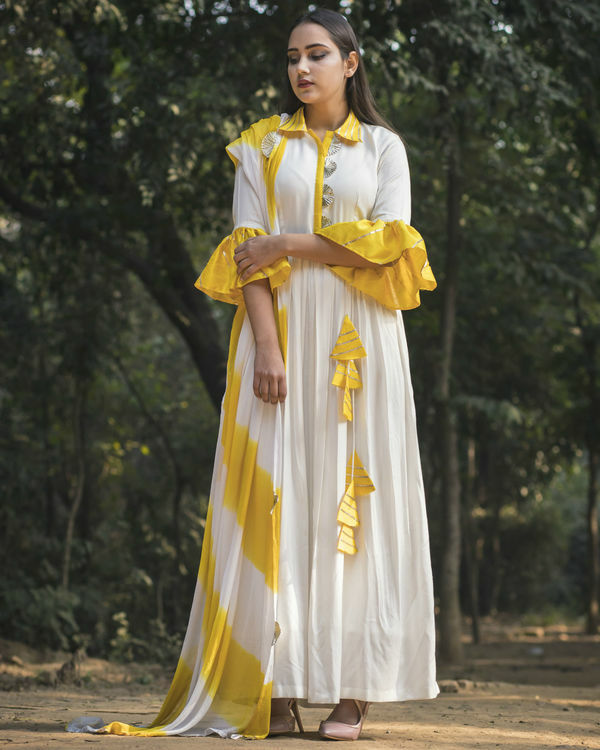 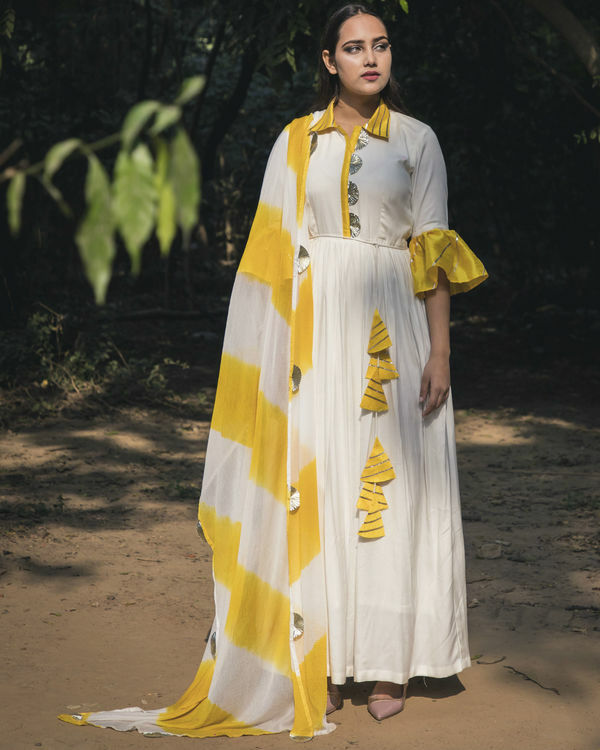 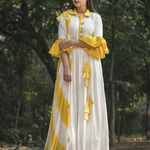 the set comprises of a bright leheriya dupatta in yellow and white with gota detailing on the edges , an off white anarkali with a unique shirt style collar and bell sleeves with gota detailing. 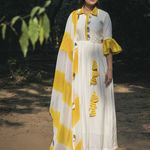 XS: BUST- 34", WAIST- 29-30", HIP- 38", ARMHOLE- 16", LENGTH- 56"
S: BUST- 36", WAIST- 31-32", HIP- 40", ARMHOLE- 16.5", LENGTH- 56"
M: BUST- 38", WAIST- 33-34", HIP- 42", ARMHOLE- 17", LENGTH- 56"
L: BUST- 40", WAIST- 35-36", HIP- 45", ARMHOLE- 18", LENGTH- 56"
XL: BUST- 42", WAIST- 37-38", HIP- 48", ARMHOLE- 19", LENGTH- 56"
XXL: BUST- 46", WAIST- 39-40", HIP- 51", ARMHOLE- 20", LENGTH- 56"